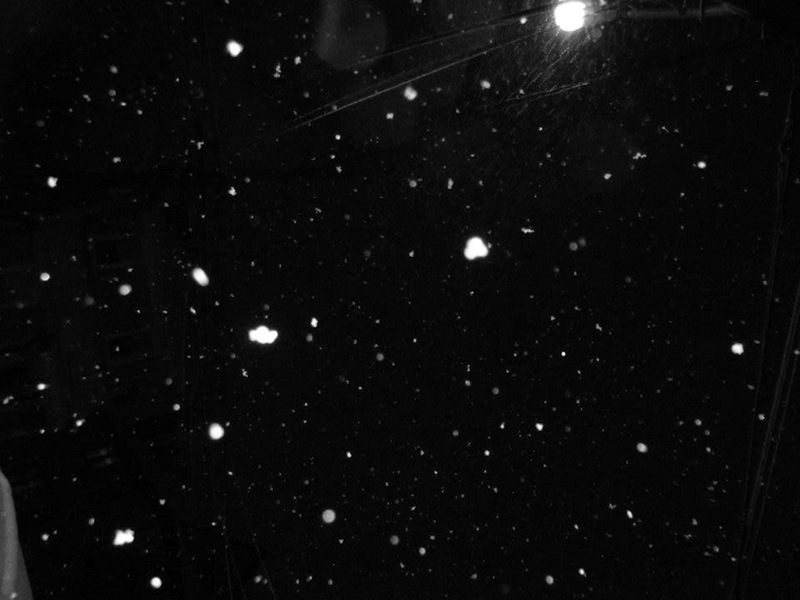 I can’t decide what is the best part about snow days, if it’s the fact that I don’t have to go to school or the surreal feeling I get watching the sparkling snow cover the streets and houses with a blanket of white. Either way, snow days just feel like an unexpected gift given to us by mother nature. Shout out to the storm-naming people for naming this blizzard Nemo and giving everyone that will be hit by it a really good reason to watch Finding Nemo while snuggling under some warm blankets. The snow has been persistently falling since about 6 am and should continue to fall until mid-afternoon tomorrow. Where I live in New York we are supposed to get about a foot of snow, which means I’ll be stuck in my house. What’s the best way to make use of a snow day, you ask? Have a spa day! Take the whole day to relax and treat yourself, there’s nothing wrong for having a “Me Day” every once and a while. Give yourself a mani-pedi, a facial, and maybe take a nice long bath! Have a movie marathon! Have you ever seen commercials of movie previews that look incredible and must-see, but you never actually get the chance to see them? Watch them back to back all day, you can find almost every movie made on the internet. Don’t forget the popcorn!! Cross things off of your To-Do list! Have a lot of odds and ends to do but never get around to doing them? Now that you have the whole day free, organize your room, sort through your closet, anything! Have an arts and crafts day! Cut out a bunch of pictures from magazines or the internet and make a collage or a mood board. Say bye-bye to 2012 in style! Whether you’re going all out on New Year’s Eve this year, or just going out to dinner with a close few, it’s still a great excuse to dress up and get glitzy. Anything goes on New Years as long as your outfit matches the event you’re going to. You don’t have to stick with the classic blue jean anymore, statement leg wear is totally popular right now and really easy to pull off! If you opt to go for a more plain bottom anyways, definitely go for a shirt with a little bling. You will surely stand out in a crowd. For a fancier event, a dress is definitely the way to go! Make sure it has sparkles! Finding something for New Years Eve may not be as hard as you think! Just stick with the basic colors, black and white, and build off of that. Have a Happy New Year! Urban Outfitters Dress Inspired by Jennifer Lawrence? It may just be a weird habit of mine, but I check my email so much it’s border-line compulsive! This morning, right after I woke up, I received an email from Urban Outfitters displaying their newly added items. I specifically liked this email because everything was gold! Gold is definitely this winter’s “It” color. What caught my eye the most was a gold maxi dress that was strikingly similar to the fierce gown Jennifer Lawrence wore on the red carpet at The Hunger Games premiere. Both are shiny gold, have a racerback back, have diamond shaped cutouts on the sides, and have similar necklines! Whether it was intentional or not, I still love the UO maxi dress. Neither Jennifer Lawrence nor Urban Outfitters ever disappoints! Jennifer’s red carpet styling is always flawless and her street style is effortlessly chic, and Urban Outfitter’s products never fail to be cute and affordable! The train my sister and I were taking to get to our class at the Fashion Institute of Technology was running late so we had some extra time to take subway selfies, yay! 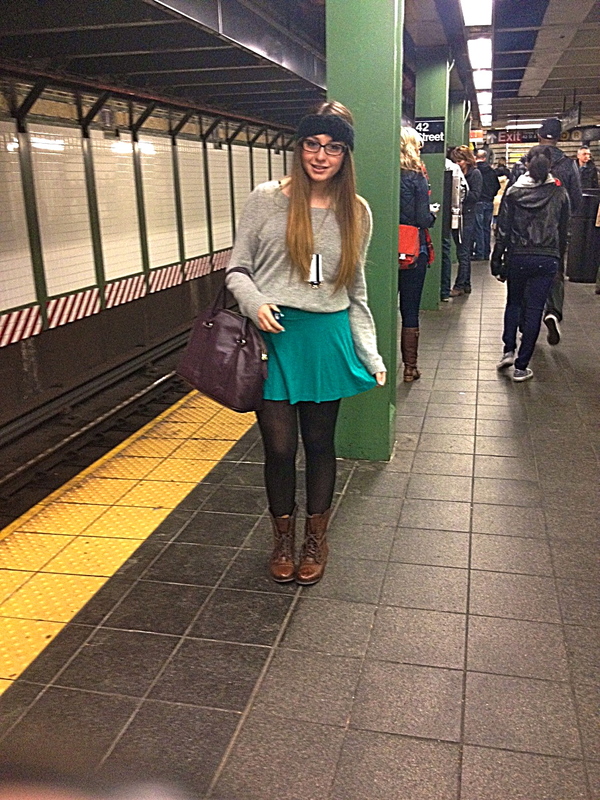 It’s getting pretty cold out in New York so I only had so much time left to wear my skirts. I wore mine with sheer black tights, wool crew socks, and my new combat boots! On top I wore my coziest grey sweater. I added a black knit ear warmer/headband and my usual eggplant handbag. Recognizing trends that have enough substance to last a while is a little difficult. This rocker-glam trend that started growing in popularity about a year ago definitely had the potential to stay around for a long time. I had mixed feelings about it at the time (because my style is quite girly) so I decided to hold off on buying these “rock glam” clothes. Since then, I’ve grown to LOVE the trend. I can’t get enough studs and leather! On Sunday I bought my first pair of combat boots (GASP, I know I’m late) but they are so comfortable and I love them! 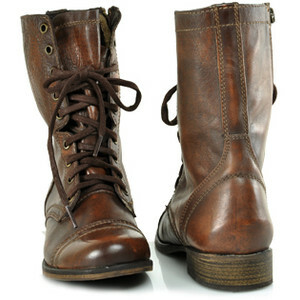 The boots I bought are Troopa by Steve Madden in a distressed mahogany color. They’re perfect, yay! So as much as I love the summer (and trust me, I loooove the summer), I am really looking forward to fall fashion. There is just something about wearing plush faux fur in the chilly autumn air that makes the season oh-so wonderful. I love looking forward to the cable knit sweaters and the corduroy skinnies, the combat boots and the knee-high riding boots, and even the leather moto-jacket and the super snuggly scarves. But what I like most about are the colors. I love the emerald, the chocolate, the maroon, and the gold colors of the new garments hanging in store windows and on chic bodies. I also adore the orange and red of the leaves and the grey tone of the sky. By late August and early September, I am ready to trade in my florals for more seasonal patterns. One of the new trendy fall patterns is oversized polka dots (along with the traditional plaids and muted stripes). Lucky for me I spotted the polka-trend prematurely and bought a super fab button-down sheer polka dot shirt from Forever 21 on my last shopping spree! Who knew it would be perfectly in-style for the fall 2012?! 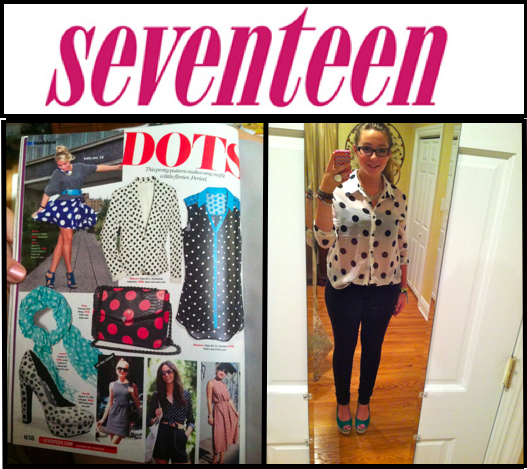 Even my favorite mag, Seventeen, spotted the polka dot trend! YES!